Do you love to go to thrift stores to browse around at all the things? Raise your hand if you go into a thrift store and almost always grab something! That is SO me. I am constantly seeing and loving things that I can re purpose some how, some way! So this post I want to try to encourage you to think outside the box a bit, and see the potential in items that you may not necessarily love at first, but can some how see them transformed. I am so excited to be doing this post as part of a monthly blog hop. 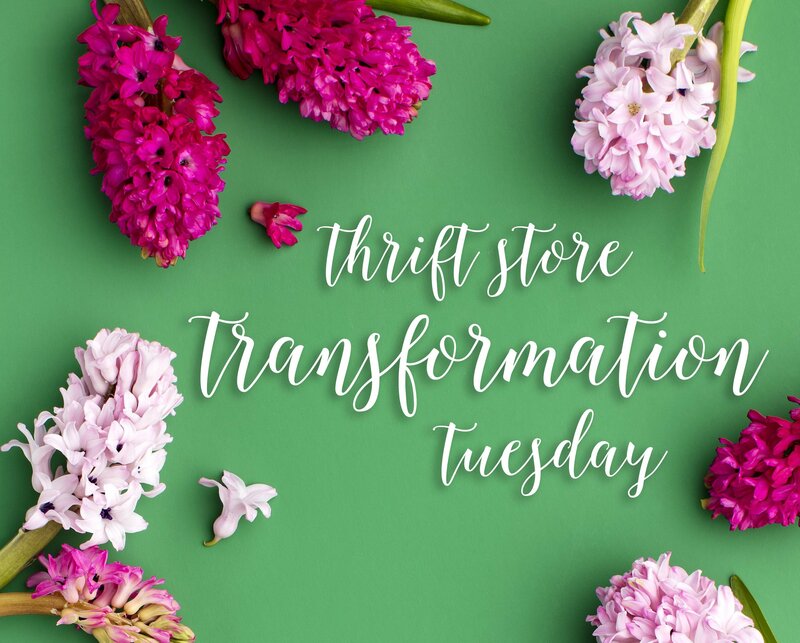 This Thrift Store Transformation Blog Hop is with a great group of girls who are also doing their own thrifted transformations. Our host is Leslie from A Heart Filled Home. You can see her blog here! Check out all of the other blog hop gals at the end of this post! 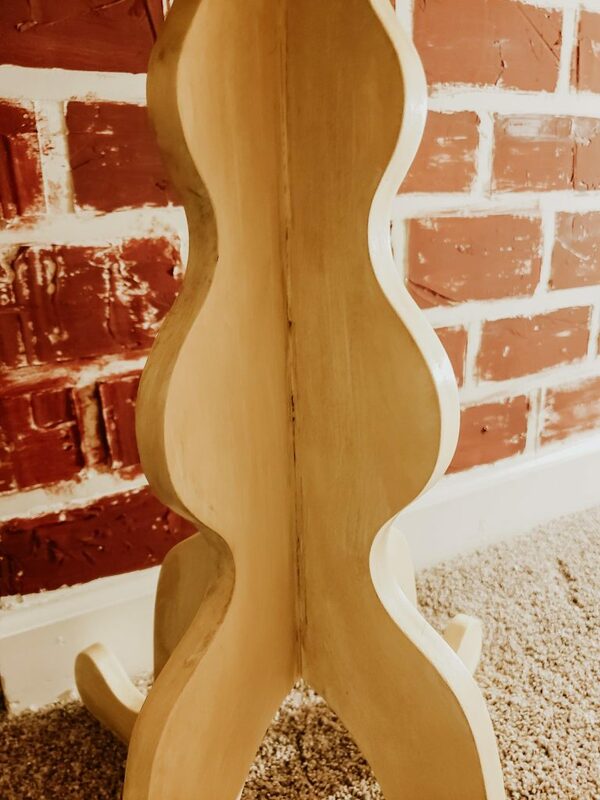 So this end table I had picked up at a sale for only $7.00. It looked cute but wasn’t completely my style but since it was white I kind of just kept it as is, until now. It had been sitting in my daughters room and I decided to make it over and make it fit their room better. 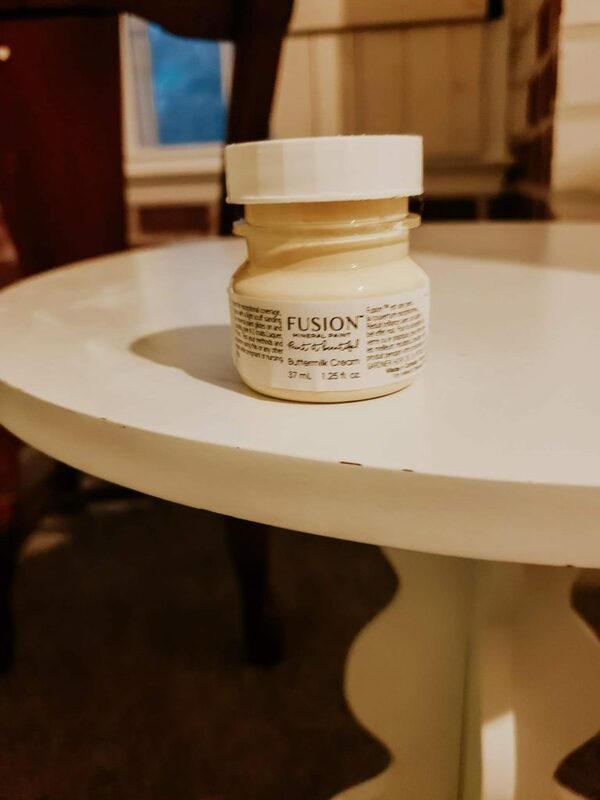 I grabbed my favorite brand of paint (Fusion Mineral Paint) in the color Buttermilk Cream. It is a beautiful muted, buttery yellow color. Their room has a vintage look to it (I am still working on finishing it) with pops of muted colors so I decided to try this one out and I love it! See my recent post here on Fusion Mineral Paint and why I swear by it! I did a quick coat of paint and made sure it was completely covered. Once that was dry I went ahead and used an antiquing wax to get the look I really wanted. You can decide what your desired look is, but I was going for a vintage inspired kind of old look to it. I rubbed the antiquing wax all over with a lint free cloth, let is sit for 3 to 5 minutes, then buffed it in and wiped off the excess. This project only took me about 15 minutes from start to finish. It only took one coat of paint and some drying time. 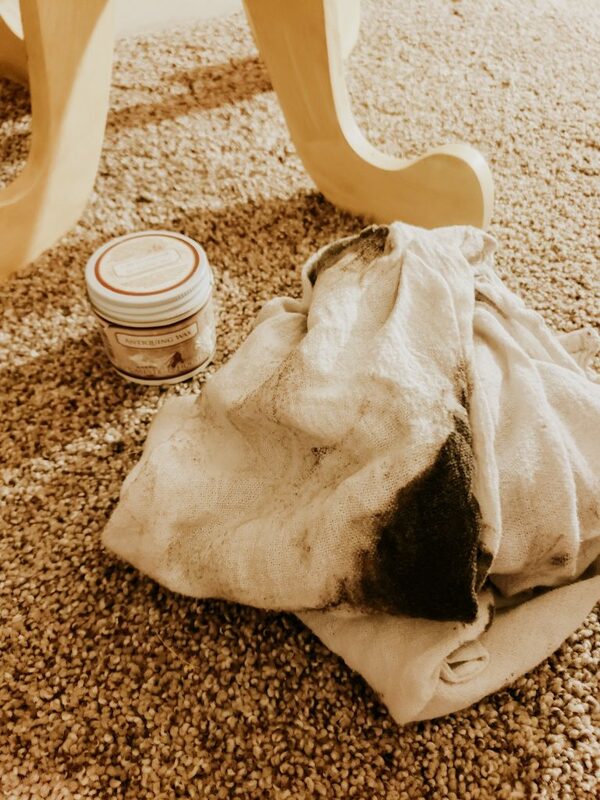 It is really all about picking a piece that you love the look of and can see it transformed with a bit of paint. Paint changes the look so so much! This piece gives so much life to this room now and looks so much better than it was when I first got it. 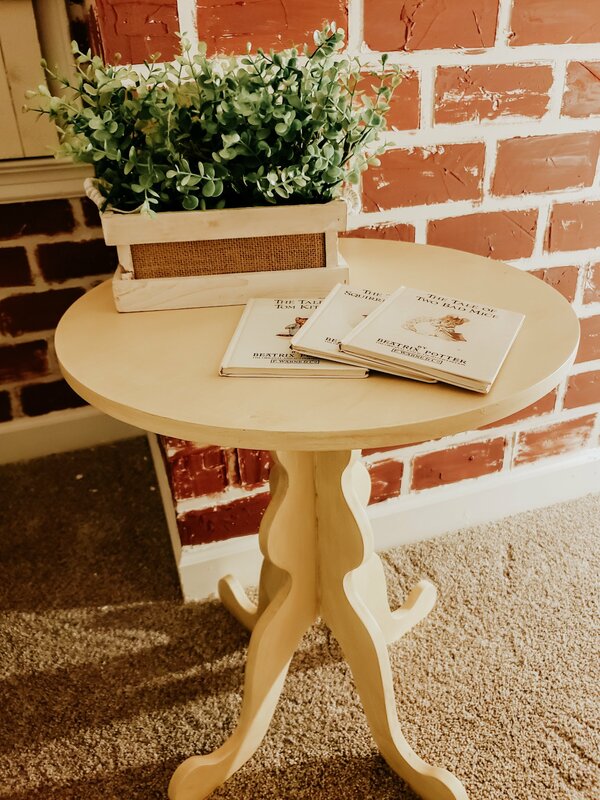 I also decided to style it with some cute little Beatrix Potter books I found thrifting today and a cute little faux greenery I found too! This was a super easy, fun DIY and hope you enjoyed it! I hope you check out all of these other talented ladies and their blogs to see what they did! Thank you so much. And yes I highly highly recommend it! It is so fantastic!